I saw this set for sale at a liquor store in Marlton, NJ called WineWorks. It’s a very well laid out store (only a year or two old), and they have a respectable selection of pretty much everything. They had this set in a locked cabinet and I was very tempted to purchase it. But since Christmas was just around the corner, I decided to delay my purchase. 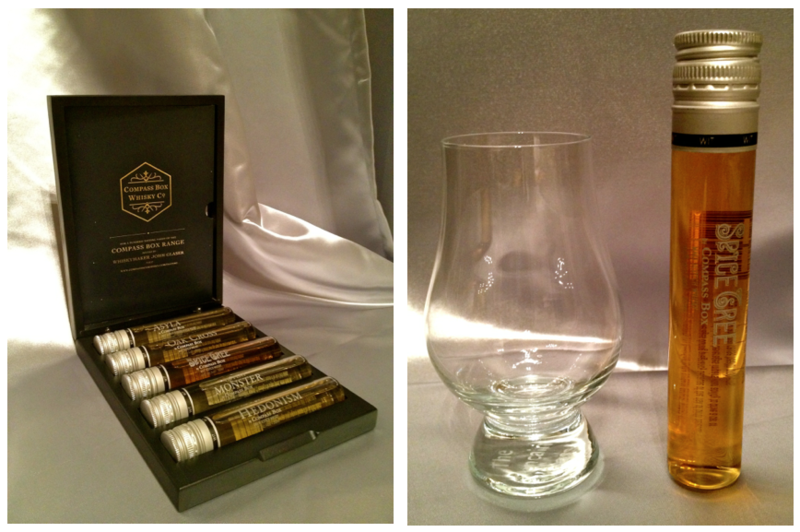 I’ve had four of the five whiskies in this set before, and they are all quite impressive. If I happen to have some cash after the holidays, I may have to pick up a set for myself. Though it’s a bit expensive (I suspect the pretty packaging is what’s driving up the cost), it is much less expensive than buying a 750ML bottle of each. I do like variety afterall! All in the name of whisk(e)y research! Always love your comments! Thanks for taking the time to write. I agree, $50 for 250ml of whisky is a bit high (ok, really high, I just wasn’t thinking in terms of quantity when I bough it). However, I still think it’s a great value if one wants to really understand the line, especially if they’re trying to figure out which is their favorite Compass Box. Like you said, it’s much cheaper than buying all 5 full bottles. 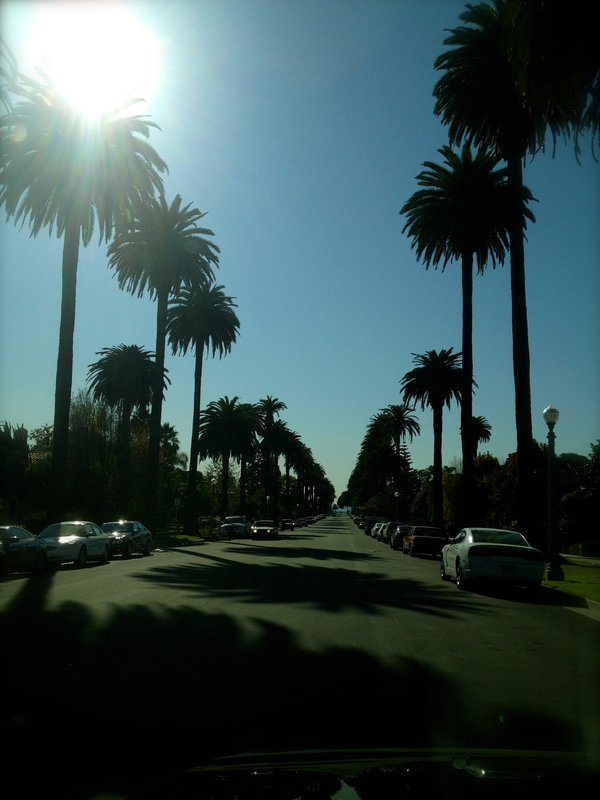 Too bad Kings Street wasn’t included – just to finish the line. They charge 9 pounds to ship to the US so the total comes to around $64 USD to get it home. And to quote you, “all in the name of whisk(e)y research” is RIGHT! It may be a bit spendy/pricey/OOC, but that doesn’t mean I wouldn’t buy it in a heartbeat! Just need to take inventory of whisky on hand and cash after Christmas. Gotta keep my booze spending in check lest I get my hand slapped by The Better Half. I give her crap about shoes/clothes/handbags (full disclosure: her purchases are less expensive than my whisky purchases on most occasions), so I guess it’s only fair that I show SOME restraint. As far as the Great King Street Artist’s Blend, I saw it at Total Wine in Cherry Hill this past Saturday and bought a bottle to give as a gift to one of my oldest friends. I was torn between that and the JW Double Black, but since we’ve been discussing Compass Box so much these days, I decided to go for it. It was a hair under $40, so I couldn’t resist. Will hopefully get to try it on Christmas Eve when he pops over my parent’s house in South Philly for the traditional Sicilian Style Fish-A-Palooza! Booze Update! I just picked up my very own set for $40! Soooo excited! Gonna take my time and enjoy them one by one over the next couple months. Happy New Year to you and the Booze Dancing crew too! I picked it up at a local liquor store called Wine Works in Marlton, NJ. They were selling it for $50 prior to the holidays. When I saw it for $40, I figured I better jump on it. Love the packaging! I’m sure I can find a use or two for the box once I “work” my way through the viles. Thanks for sharing! $40 is a great deal. Re: packaging, I totally agree! I see lots of possible uses for the vials too (an evening at the ballet just got a whole lot better!). 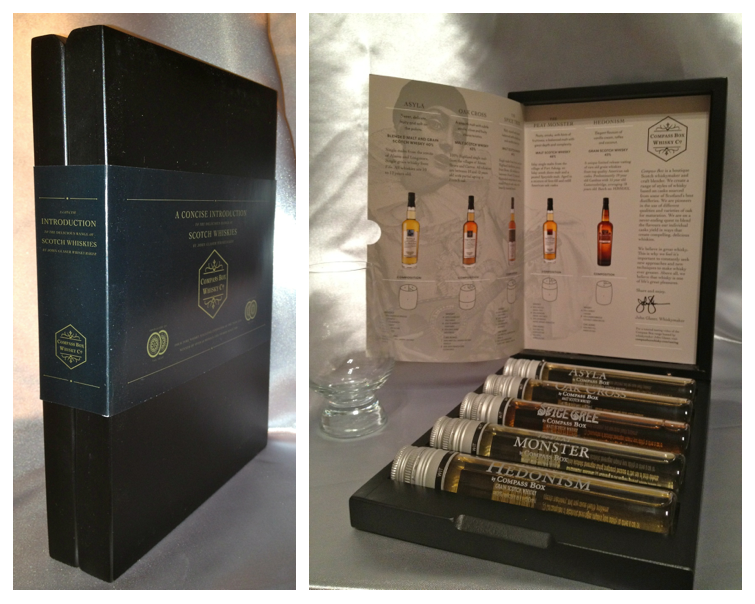 You are currently reading Whiskey Gift: Compass Box Sample Set (& the journey I had finding it!) at The Whisky Woman.